Summer times are all about enjoying the outdoors, be it in the garden, out camping or for the more adventurous hiking holidays. 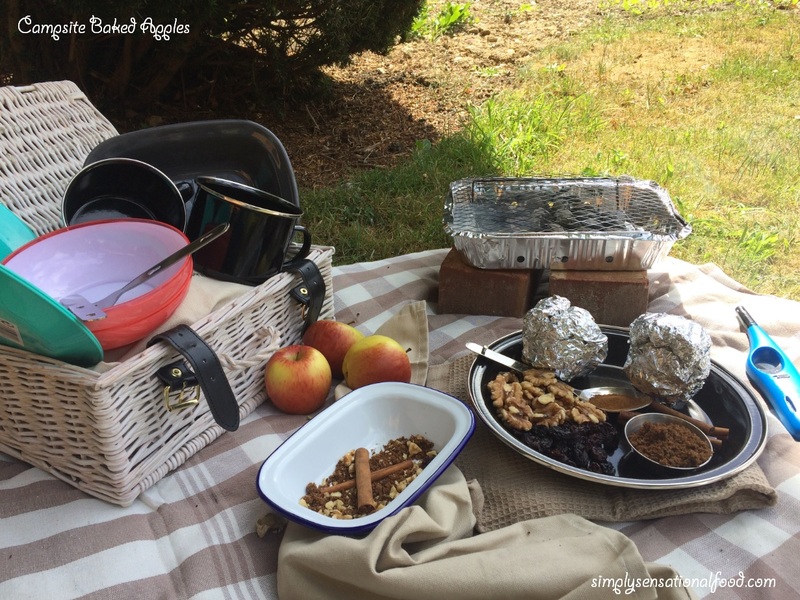 I adore hazy summer days and alfresco cooking and the first chance I get to go out doors, I am happy to pack a picnic basket, a blanket and a portable barbecue and set off for the day. The smell of the charcoal on a hot summers day brings distance memories of brownie camp and girl guides where we we went on our annual camping trips. In those days putting up our antiquated tents was painstakingly difficult, not in this day and age with all the new easy to put up waterproof tents and camping equipment that are now readily available, making camping and outdoor holidays so much more fun and civilised. As a brownie, I remember trying to cook veggie sausages and baked beans on the trangia cooking stove in the aluminium pans, which proved to be a challenge in it self. I have strong memories of surviving on a packet of biscuits that I used to sneak into my rucksack. As an adult, my outdoor cooking skills have improved by far and I love barbecuing a variety of fruits and vegetables and making homemade mushroom and veggie burgers on the barbecue. Most of all I love cooking desserts on the barbecue, charcoal roasted bananas in their skins, toasted marshmallows sandwiched between two digestive biscuits and cinnamon baked apples. 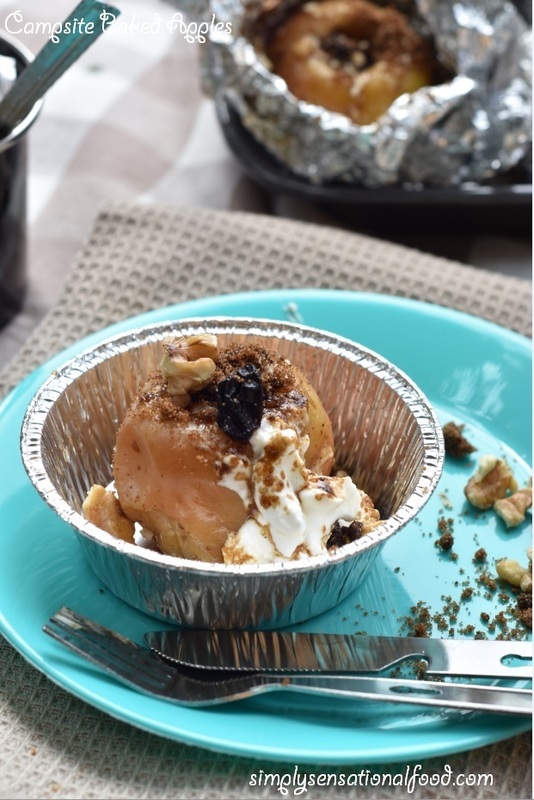 Nothing beats opening a baked apple foil parcel and adding dollops of Greek yoghurt before devouring the whole thing. 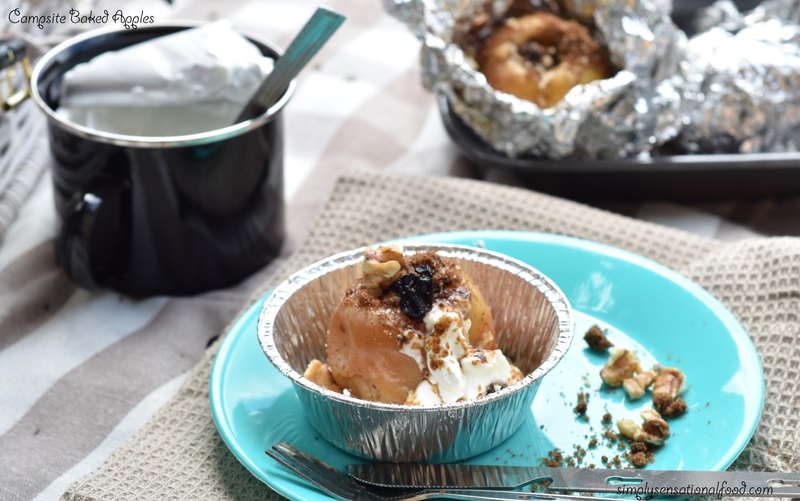 My baked apple recipe is fail safe and drool worthy which would be perfect to create on any camping holiday or home barbecue. 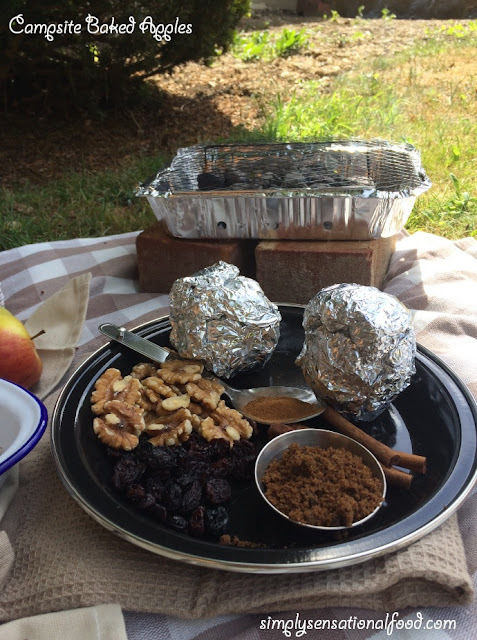 Cinnamon spiced apples baked on charcoal and served with greek yoghurt. 1. Light the barbecue.2. In a bowl add the brown sugar, cinnamon and crushed walnuts and sultanas and mix together and keep aside.3. Wash the apples and remove the core.4. Fill the cavity of the apples with the walnut, brown sugar mixture packing it tightly. 5. Get a double piece of foil square and place the filled apple on it. 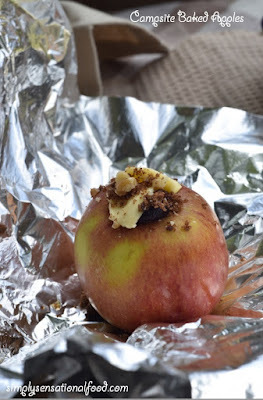 Add a dollop of butter on the top of the apple and wrap the foil parcel up securely. 6. 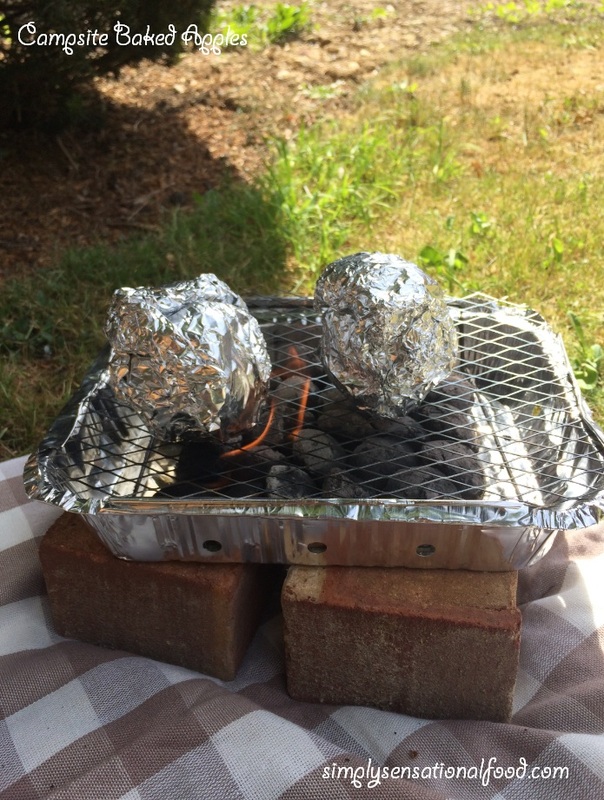 Place the apple parcels on the barbecue and cook for 30 minutes, turning them with tongs to ensure an even bake. 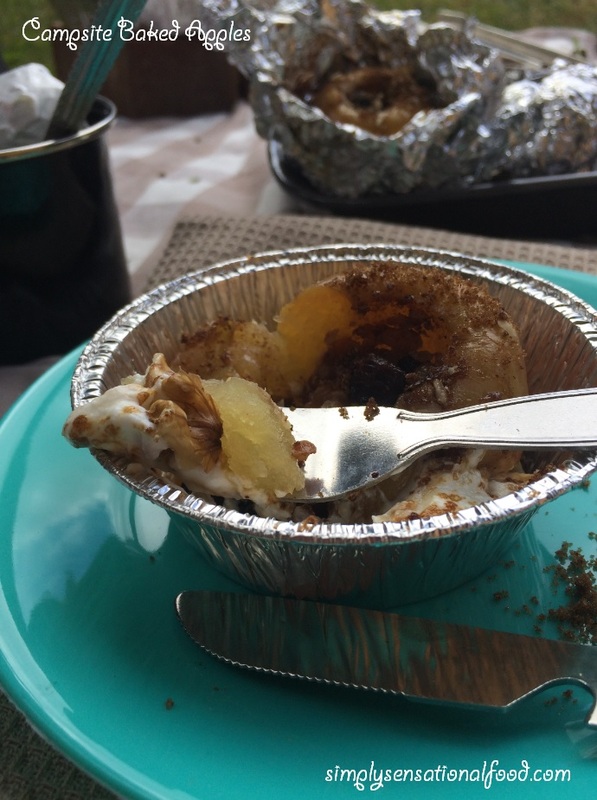 7.Remove the parcel from the barbecue and open it, sprinkle the apple with the remaining walnut and sugar mixture and serve it with a dollop of fat free Greek yoghurt. This post is in collaboration with simplyhike. Oh I've actually never tried such a thing! Must be possible to veganize by just opting the butter and using a df yoghurt! You can replace the butter with a vegan spread like sunflower and use soya yoghurt and it will be suitable. You really prepare for this outing oooo. Summer outing is enjoyable, it gives you that peaceful of the mind. I can't wait for the day I'll take that special someone out to enjoy the fun. That someone will be thrilled to enjoy these. I've not had apples like these in years, but now I'm craving them! Jacqueline, they are really delicious and the walnuts give them a lovely crunch. I love this! I am getting married and we are going on kayak / camping trip in August for our honeymoon. I will have to share this with my fiance! 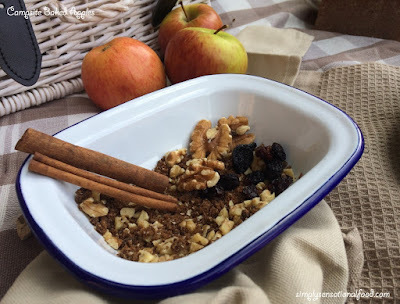 Apples, cinnamon, sultanas and walnuts are great! I love baked apples. I would never have thought to put them on a camp fire or barbecue before! This is an amazing recipe, sounds tempting. 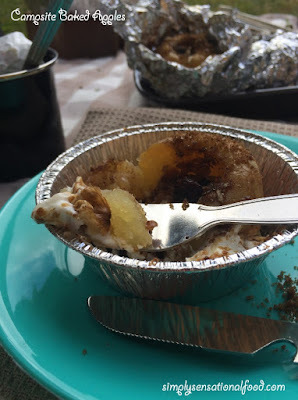 I love camping so much and baked apples ven more, I never thought about putting the two together but now I need to do it! I adore baked apples. Especially with some peanut butter drizzled on them. That sounds really good and easy to make. I always say lets BBQ this week and then end up not doing it. Really should try these on the BBQ. Great recipe. I will have to make the vegan version. I haven't had a baked apple for many years but can remember just how good they smell and taste! What a simple recipe that's going to be simply yummy! A fab idea for a bbq. These sound delicious. Especially with the added cinnamon. I've not had these before but will give them a go at my next BBQ. I love baked apples, thansk for this idea, this recipe will let me enjoy outdoors to the fullest. We love apple crumble so the thought of doing this on a campsite sounds delicious we'd might try adding some flapjack too! Yummy! That looks so yum! I really what to try this..As a dummy in cooking, this seems doable :) thanks for sharing! Looks so delicious! I haven't had a baked apple in a long time. I will follow this recipe and enjoy a delicious treat! This is delicious! I love apples and walnuts. Such a fun little summer treat! Nice and easy too! 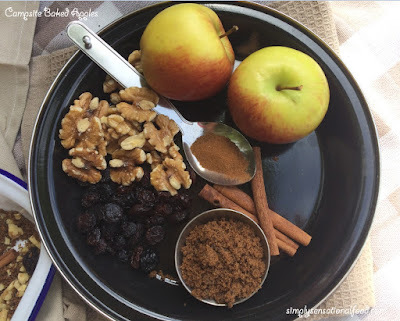 I'm not a big fan of cinnamon but I could actually try this recipe out! I also think that camping or going for a pic-nic are a nice idea for Summer, I always love being outdoors. 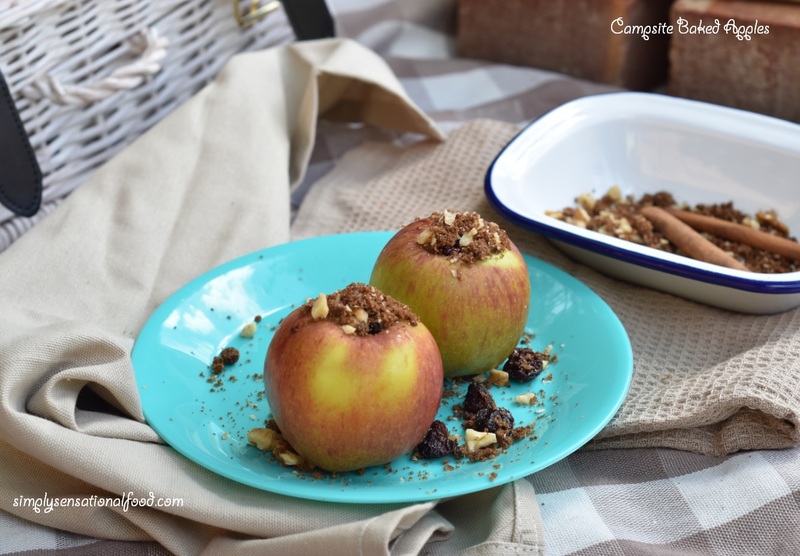 Baked apples are my favourite, love your recipe. What a great idea! I'd never think to bake apples on a campfire or bbq! WHAT A FAB IDEA. I never heard of these before being cooked by the campside. We will have to try it if we go camping! Oh wow what a great idea. When having a BBQ I have never thought about what you could do for dessert and this is an amazing idea for it!!! I love baked apples! They'd be even nicer around a campfire! Oh my goodness, these look delicious! We're heading away on holiday in November around bonfire night and I bet these would make the perfect autumnal treat! Apples are my favourite. This is a delicious seasonal recipe. Wow, this is a fun way to enjoy and create a bond. I love camping and missing it too! I guess I will be adding your baked apples into it! Thanks for sharing your recipe. Oh I love apples, doing this is a really good way to get those that are not that fond of fruit to like it anyways! Will definitely have to give these a try! !